Hey, babes! 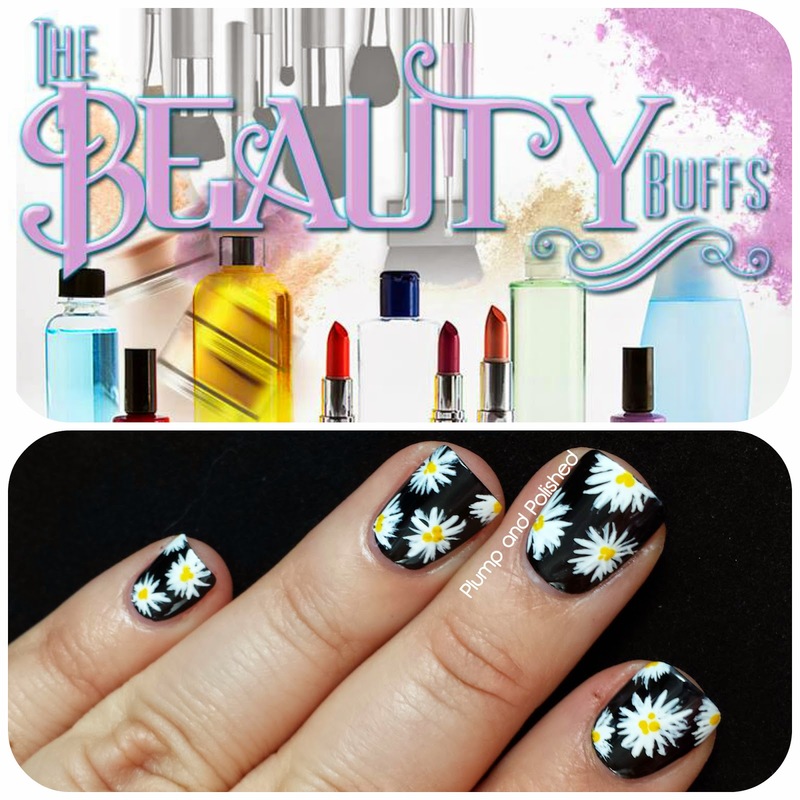 The Beauty Buffs are back again and this week is something I'm all about. Black and white. 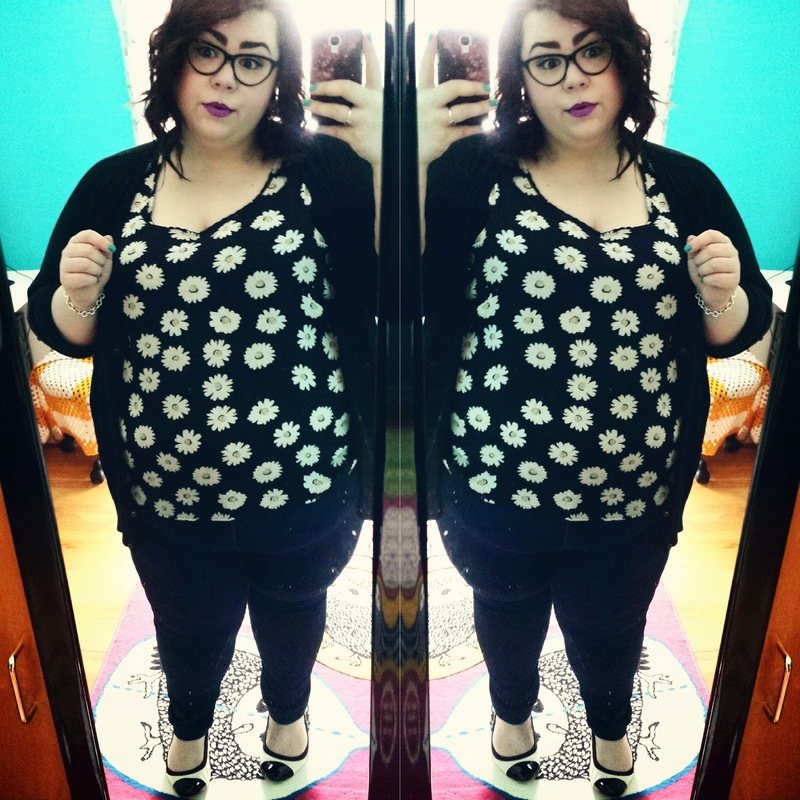 If you follow me on Instagram, you know I love me some black clothes. I'd say 80% of my wardrobe is black. I'll never get tired of it. For this look, I drew inspiration from one of my favorite tops I picked up at Asos this summer. Check out all the details and a link up to other great black and white posts after the jump! I started out with a black base and then added top coat. I did that so the colors wouldn't smear or drag. 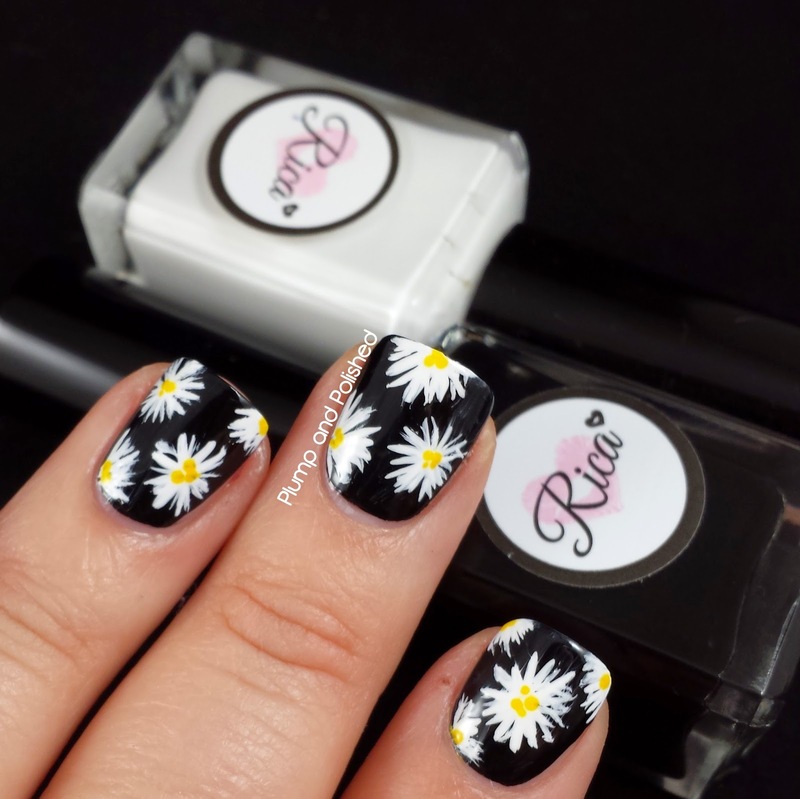 With a striping brush, I made an "X" and then kept repeating that until I created the daisies. The beauty of flowers is that no two are the same. Don't worry about perfection! 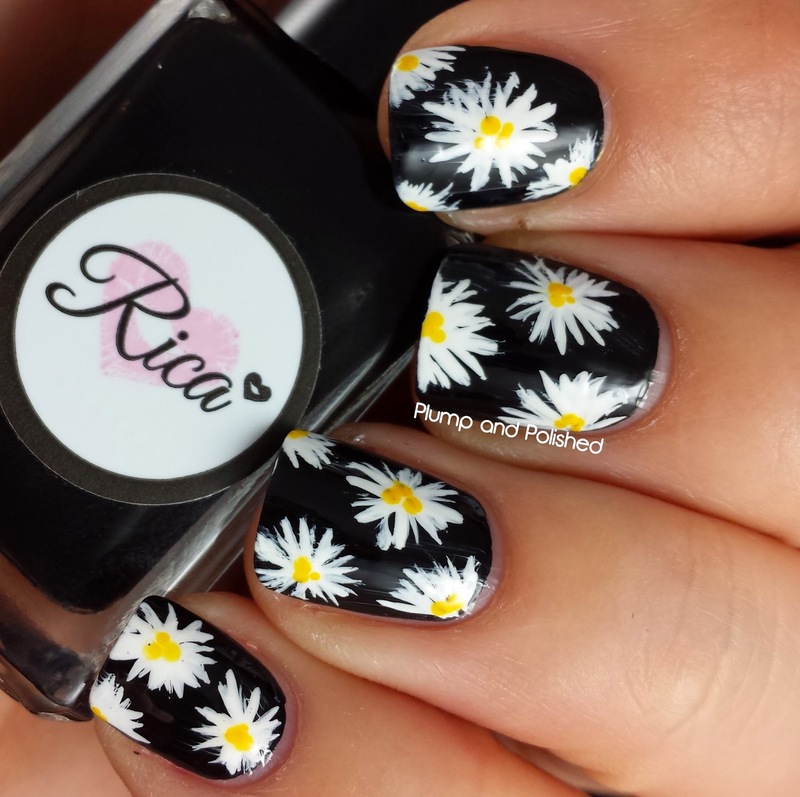 To finish the look, I added a few yellow dots to the middle of each daisy. Top coat is a must for this look. It softened the flowers and made it look so much better. 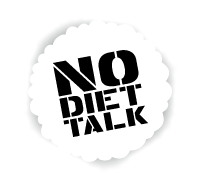 Side note: I decided to give Brand New's Daisy a spin while I was writing up this post. Appropriate, right? So cute! I love it! I really love black and white manis too. Love this! 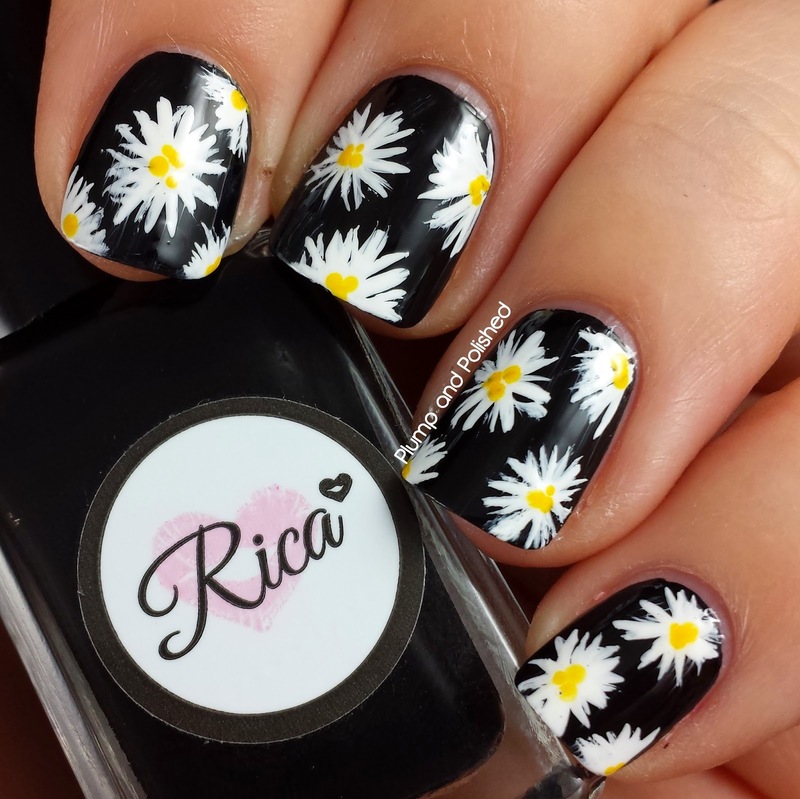 Florals with a black base always make me happy! Me, too! I'm starting to see a pattern in my posts. haha! You can't go wrong with black and white! hahaha! Whatever it takes to make you feel good! There was a daisy dress I wanted from Asos, but I waited too long to grab it. It sold out in just a few days. Love the daisies, they're the print from my summer dress, so cute. I don't normally like flowery patterns, so I'm quite surprised these catch my eye. And definitely more OOTDs! You look awesome. What a classic adorable look! I love daisies. I think I was drawn to this top because it's very 90s looking. Plus, it's sheer. I wear a cute lacy bra under it and you can just see through it a tiny bit. It's perfect for summer. Lovely nail art! So simple and cute! Gorgeous! 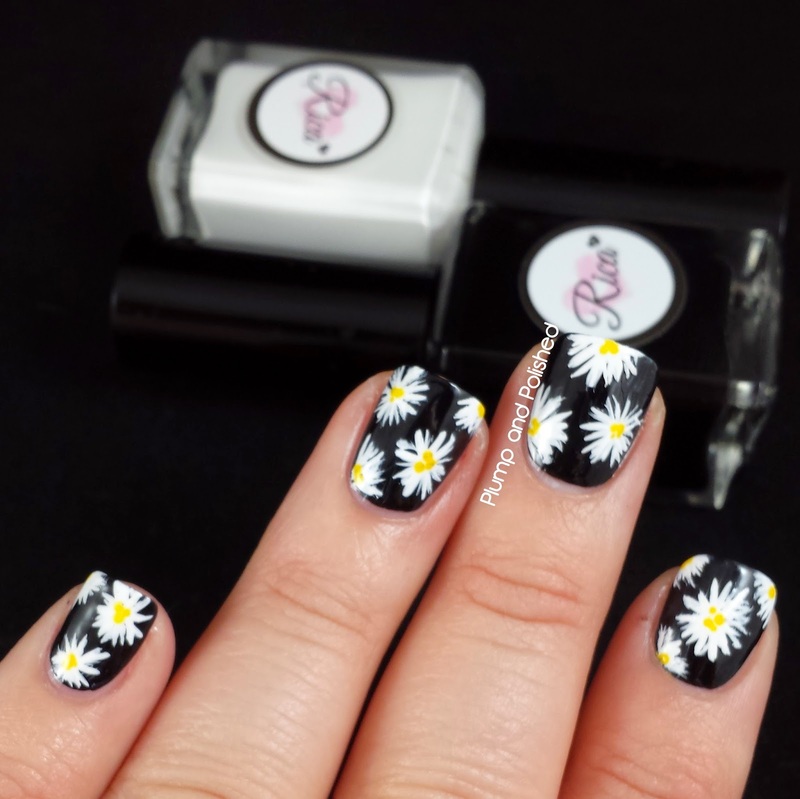 Daisy's are my favorite and somehow I've never worn them on my nail over black (despite a....some daisy tops). Also, adorable outfit! these are so cute, i love the inspiration!